Owners Kevin and Teresa Mooney Welcome You! Harford Vineyard and Winery is located in the heart of the Piedmont wine trail region of Harford County, Maryland. Harford Vineyard was founded in 2003 when Vidal and Traminette grapes were planted. Merlot grapes were added in 2006. We supplement our own production by purchasing small amounts of high-quality grapes from other growers. Since then, we have continued to grow and expand the business to meet the needs of a wide range of customers, from the home winemaker, to the wine enthusiast who simply enjoys a good glass of wine in a beautiful, rolling vineyard setting. In May, 2009, we officially became a winery specializing in the limited production of finely-crafted wines. Harford Vineyard currently has 12 Maryland wines from which to select exactly the right wine to suit your palate. We appreciate the opportunity to share our hand-crafted wines with others. With each visit, you can relax and feel at home. Choose a flight of six wines to taste—from dry red, to dry whites, to semi-sweets and sweet, for $7.00 per person, or $10.00 to sample them all. Souvenir glasses are available to purchase for $2.00. Wine-related gifts, custom wine gift baskets, and local artisan creations are available for purchase in the tasting room. For a genuine, down-to-earth winery experience away from the crowds, stop by our expanded tasting room Thursday through Monday, from 11:00 a.m. to 5:00 p.m. We welcome groups, and appreciate calling ahead for groups of eight or more. Although we are dog lovers, they are not allowed at the winery. Our tasting room is available for small weddings, showers, anniversary parties, corporate events or other special occasions. 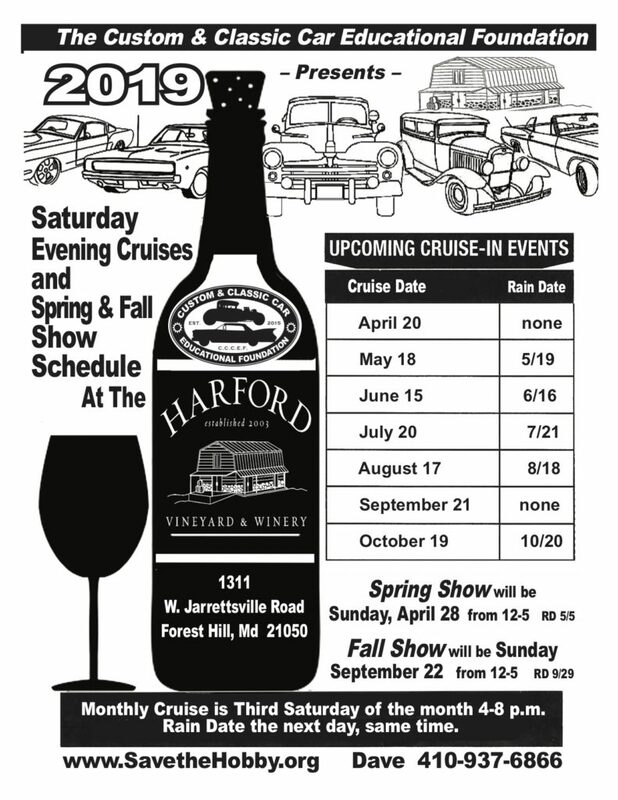 Please email mail@harfordvineyard.com for details. We host Friday outdoor live music events in warmer months, and weekend indoor fireside live music events in colder months. See our wine event calendar for upcoming events!